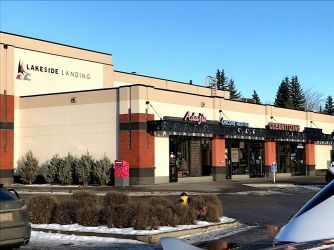 We are located on the second floor of the Lakeside Landing building, above the Public Library and Curves gym in Edmonton. The clinic is accessible by elevator. The building is just North of Sobeys in the same parking lot and parking is free. 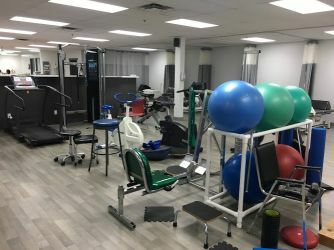 Lifemark Physiotherapy Lake Beaumaris offers physiotherapy, manual therapy, spinal manipulation, massage therapy, acupuncture and intramuscular stimulation (IMS) and therapeutic exercise for pain relief to Edmonton area residents. Services are available in English, French, and Cantonese. Our clinic has over 4,000 sq. 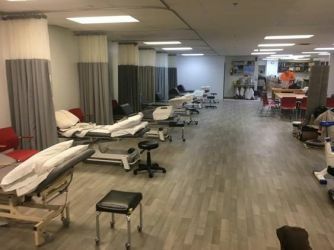 feet of space, with 16 treatment cubicles and two private treatment/massage rooms. 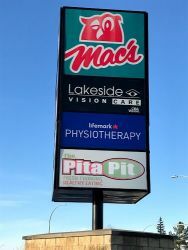 We have a fun and energetic staff of eight physiotherapists and two massage therapists with over 100 years of combined experience. 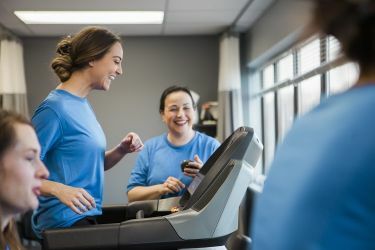 Our large open gym area holds stationary bikes, a treadmill, steppers, leg press, hydrogym, pulleys and weight stacks. We also have a large balance area with wobble boards, balance pads, foam rollers and therapy balls. 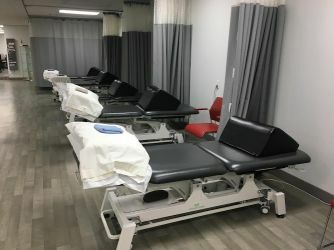 In addition to our physiotherapy, massage therapy, IMS needling and acupuncture treatment services, we offer vestibular therapy for balance and dizziness disorders and pelvic floor physiotherapy for the treatment of incontinence and pelvic pain. 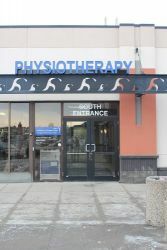 We also treat a variety of orthopedic and sport injuries. We are funded by Alberta Health care, private Extended Health Benefit plans, Motor Vehicle Insurance, Worker’s Compensation Board, Military and Veteran’s Affairs.